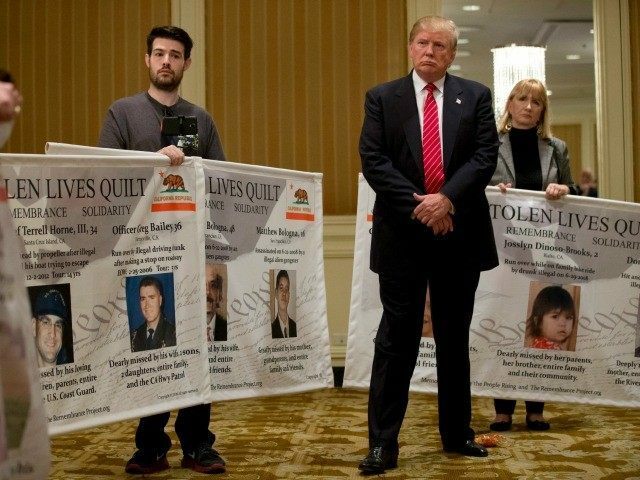 When a resurgent Donald Trump invited the families of victims killed by illegal aliens to join him onstage at his immigration speech in Arizona on Wednesday, he outsmarted the networks, like CNN, that had often ignored or cut away from them. But he was also repaying a debt. Without those families, Donald Trump would have crashed out of the Republican primary race, just as almost everyone expected he would. By listening to them, and amplifying their voices, he connected to a broad constituency and won the nomination. With their help, he may win the presidency. The proof can be found in an interactive chart at RealClearPolitics, which tracked poll averages during the primary. 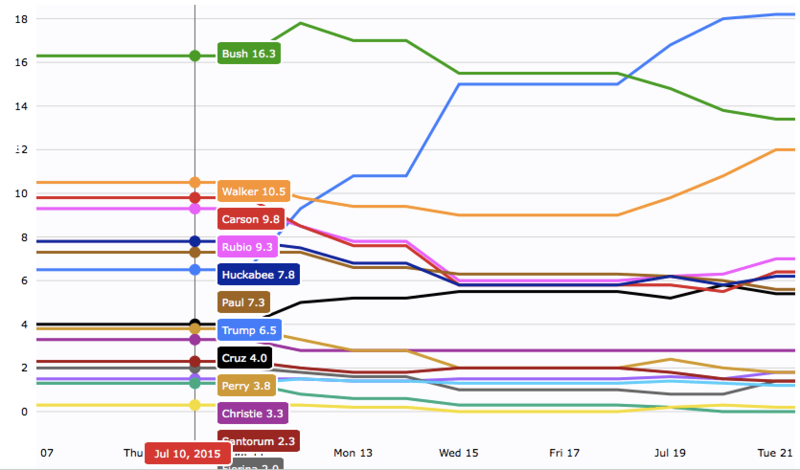 On July 10, 2015, former Florida governor Jeb Bush was the frontrunner, at 16.3%. Donald Trump was a distant seventh, with just 6.5% of the vote. Keep in mind that Trump had been running against illegal immigration since he launched his campaign more than three weeks before, with his infamous remarks about illegal aliens from Mexico. None of that had resonated much. And then, on July 1, 32-year-old Kate Steinle was shot and killed in San Francisco while strolling along a pier with her father. The murderer, Juan Francisco Lopez-Sanchez, had been deported five times before, and had been convicted of seven felonies. He later told a local journalist that he had specifically come to San Francisco because it was a “sanctuary city” that would not cooperate with federal immigration officials or enforce immigration laws. Breitbart News focused on that story in the days that followed. Breitbart California’s Michelle Moons, who had covered the protests in Murietta against re-settling illegal alien children who had surged across the Mexican border exactly a year before, wrote a series of articles about Steinle. 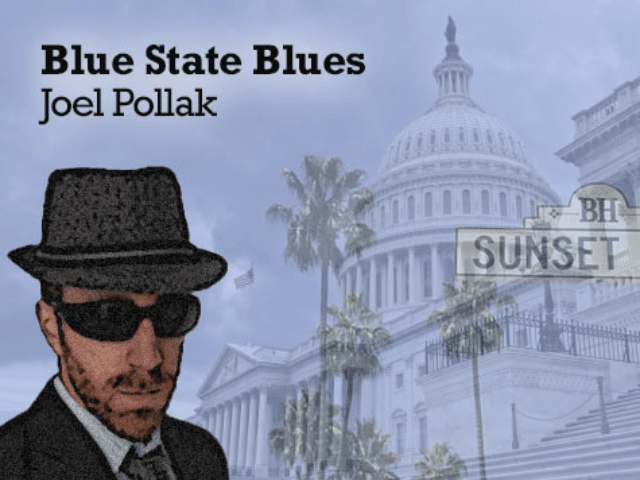 She used her extensive sources in the law enforcement community, as well as among families who had lost loved ones to crimes by illegal aliens, to build the details of the story and place it in a broader context. That was when Trump began to show an interest in meeting with those families, who had reached out to him in the days after the Steinle murder. He met with them on July 10 in Los Angeles, and the enduring image of that event was of the ever-voluble Donald Trump standing silently as he listened to the families pouring out their grief. Few other politicians had ever bothered. These families were inconvenient to a national debate in which the Republican Party had already conceded to the opposition. [Trump] listened to each one of our stories and was visibly shaken and touched. We got hugged and he promised to continue to fight for us and our kids. We then went to a separate room where the press was staged. He addressed them and then gave each of us time to share our story. The press tried to pin him down on his previous comments. He stood his ground. I had a Coke bottle that read HERO on it and I told him that he should have it. He is my hero because he was the only one who got attention to this truly important issue. From that moment, Trump took off in the polls, and almost never looked back. 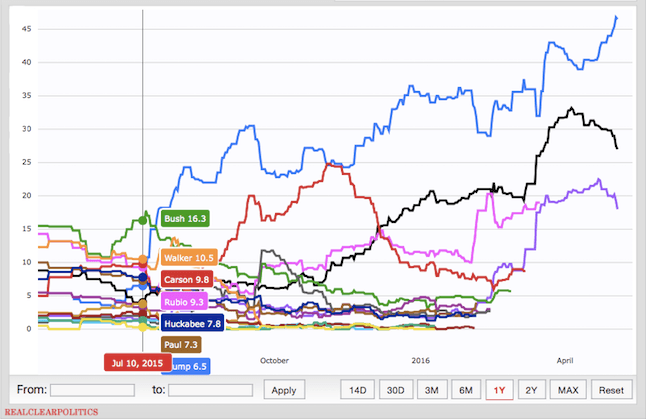 From seventh place in the RealClearPolitics average on July 10, Trump shot to first by July 19. His dramatic rise is all the more surprising given that only 7 percent of Americans called immigration the “most important problem” facing the country in a Gallup poll taken over the same period. In so doing, he connected with others who had been victimized, or ignored, by their own government on so many issues, from trade to Obamacare. On Wednesday night, he re-affirmed that connection. He is surging again. The question now is whether Trump can convince enough voters by November 8 to trust him, as the victims’ families do.